But their mission is jeopardized by another threat uncovered in Emberly’s prophetic dreams. A creature of ash and shadow has been unleashed on a murdering spree. 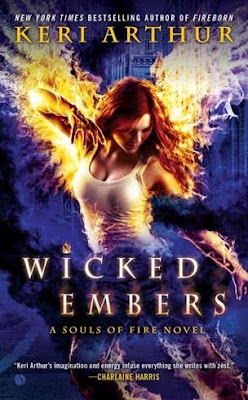 Now Emberly must summon all her gifts and investigative knowledge to put an end to this entity’s brutal rampage—even if it means placing herself in harm’s way. I wasn't sure what to expect from this story and the first few chapters definitely peaked my interest...but then...HAM...I was hit full force with a very complicated plot and many characters. Whew, many intertwining threads and relationships. I may have started behind the eight ball with this one because I have not read the initial book in the series and there were quite a few references made that had me scratching my head. Let's see, there is Emberly (MC) who is a Phoenix and is in love with Sam who is head of PIT (a supernatural policing agency) but Sam broke her heart because he couldn't (or wouldn't) understand why Em still had to "mate" with Rory (another Phoenix). Hmmmm...can't say I blame him! Rory is Em's life mate. They need to convert to their fire forms and mate to recharge energy and procreate. Ok, now there is Jackson, Em's "friend with benefits" and work partner. He's a fire fae and is a very sexual character. But I digress because this really isn't a romance story...it's a paranormal crime story. On this thread you have the syndecati (vampire mafia), the Red and Grey cloaks, a red plague virus and a "smoky" shape shifting supernatural monster (unrelated?). It seemed to jump from one crisis to another and it wasn't until the last 25% of the book that I caught up and became invested again in the story...then it ended! ARGHH! I am sure the crimes and love interests will be further explored in the next episode but I felt a little cheated of some closure. I must say, phoenix have some pretty great talents and I sure wouldn't want to have them on my bad side but I can't see any "good" romances in their futures because of being saddled to a life mate with no real emotional connection. I would advise starting with the first book in the series to get all the background information and see this book with "informed" eyes. Or perhaps all the heat and flames made my eyes a little smokey! Keri Arthur is the New York Times bestselling author of the Dark Angels and Riley Jenson Guardian series. 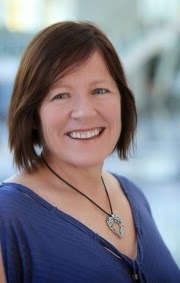 She has written more than thirty books, received several Romantic Times Reviewer’s Choice Award nominations in the Best Contemporary Paranormal category, and has won RT’s Career Achievement Award for Urban Fantasy. She lives with her daughter outside of Melbourne, Australia. I love Keri Arthur's books! This is the first of her books I have read. I see she has other series out there so I may have to check those out. Thanks for the comment.